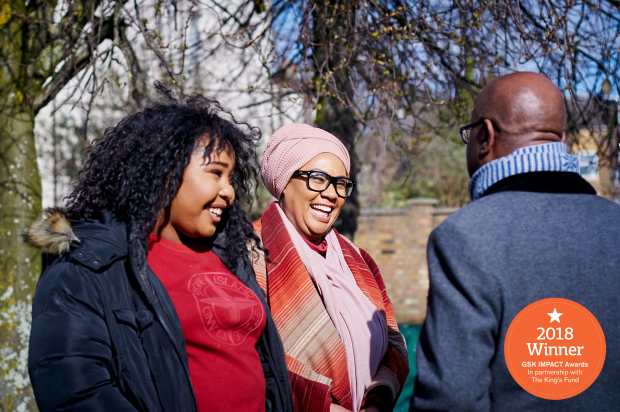 At the Sickle Cell Society we are passionate about making a difference to the lives of people who live with sickle cell disorders and their families. Patients and their families are at the heart of our work and are essential to the decisions we make as a charity. Having a patient focus can be very hard work but it is very rewarding. Last year we won a 2018 GSK Impact Award in partnership with the King's Fund, beating competition from more than 350 organisations from all over the UK. An important part of our work has been in partnership with the NHS Sickle Cell and Thalassaemia (SCT) Screening Programme. We have built a strong and lasting relationship with the national programme built on trust and a joint passion to put patients at the centre of our work. I would like to focus on the value of this partnership work and what it can achieve. It recently resulted in the joint publication between myself and Dr Elizabeth Dormandy, until recently a part of the national PHE screening team, of a paper in the International Journal of Neonatal Screening – a well respected publication aimed at European haematologists, clinicians and other stakeholders who have an interest in haemoglobinopathies. The paper, Improving Screening Programmes for Sickle Cell Disorders and Other Haemoglobinopathies in Europe: The Role of Patient Organisations, describes the unique contribution and added value that patient organisations can give to the development and improvement of screening programmes in partnership with statutory bodies. I would like to say a big thank you to Dr Dormandy, Dr Jacques Elion (Professor at Université Paris Diderot – Sorbonne Paris Cité), our NHS engagement lead Iyamide Thomas and national NHS SCT Screening Programme Manager Cathy Coppinger for all their hard work in making this partnership such a success. It is refreshing to see professionals in both the UK and Europe understanding the importance of partnership and the positive impact it can have. I hope we will continue to see more partnerships forming to improve patient care across Europe and the World. For more information about the Sickle Cell Society you can follow us on Facebook (@SickleCellUK), Twitter (@SickleCellUK) and Instagram (sicklecelluk). Application for funded place on genetic risk assessment and counselling course is now open!